As a lifelong fan of the macabre who didn’t get into horror movies until high school, I spent a lot of time exploring the darker side of culture in literary form. As such, I’ve happened across a lot of horror books meant for young readers that stray a little further from the beaten path than titles like GOOSEBUMPS or SCARY STORIES TO TELL IN THE DARK. 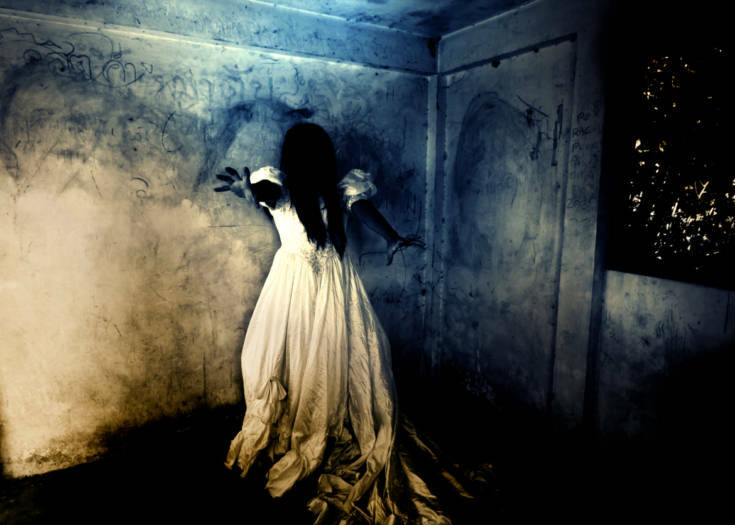 If you have kids or are just interested in how creepy kids’ storytelling can get, here are ten lesser-known titles that kept my skin crawling when I was younger. Note: I used a rather loose definition of “horror” for this list, generally including stories with light tones that have darker themes or horror tropes. Also, the final three or four entries start to drift across the line from “kids’ literature” to “young adult literature,” but are sufficiently cloudy that I saw fit to include them. 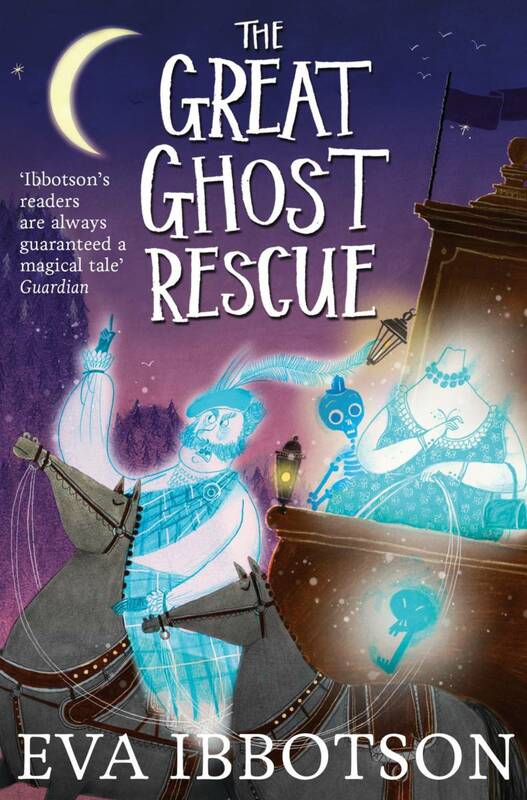 This British children’s novel has it all: a young and pleasant ghost who doesn’t fit in with his terrifying family, a schoolboy who learns to love them all, and a wicked nobleman with a plot to exorcise the spirits. It’s a soaring adventure that is safe for young kids, but isn’t afraid to indulge in classic imagery like screaming skulls and bloodstained banshees. These books are just pure fun. 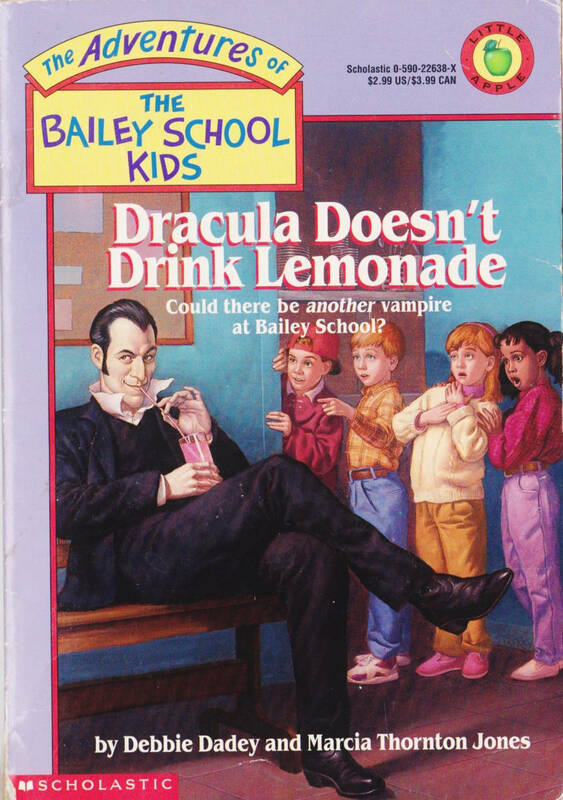 With titles like VAMPIRES DON’T WEAR POLKA DOTS and MUMMIES DON’T COACH SOFTBALL, this series (which comprises over 50 books) details the adventures of Bailey School students who begin to suspect that the authority figures in their life might not be who they seem to be. 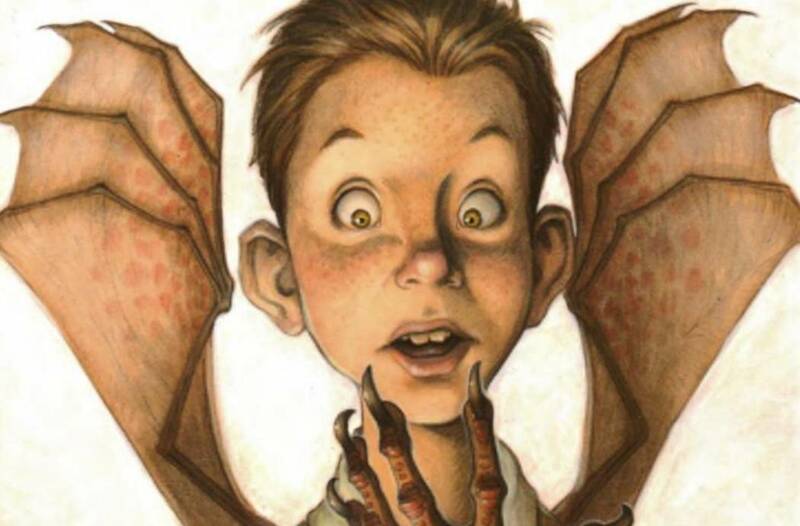 Not every book is horror-related (see SANTA CLAUS DOESN’T MOP FLOORS), but a comfortable two-thirds are, and they’re a good way to teach kids about valuable tropes when it comes to famous monsters from film and mythology. “Twist it once, you’re horned and haired. Twist it twice and fangs are bared. Twist it thrice? 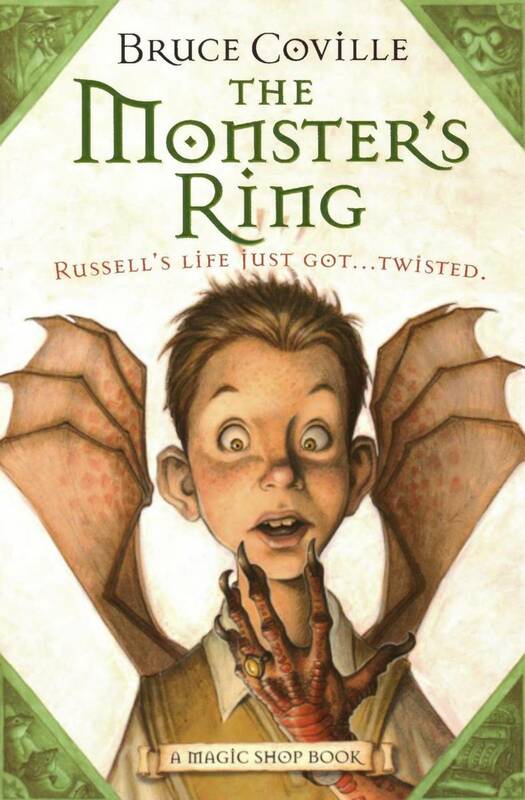 No one has dared.” So warns THE MONSTER’S RING, about a young boy who acquires a magic transforming ring at a local shop. The book plays like a cross between R. L. Stine’s THE HAUNTED MASK and 976-EVIL, all taking place in the maniacally fun, eerie world crafted by Bruce Coville. 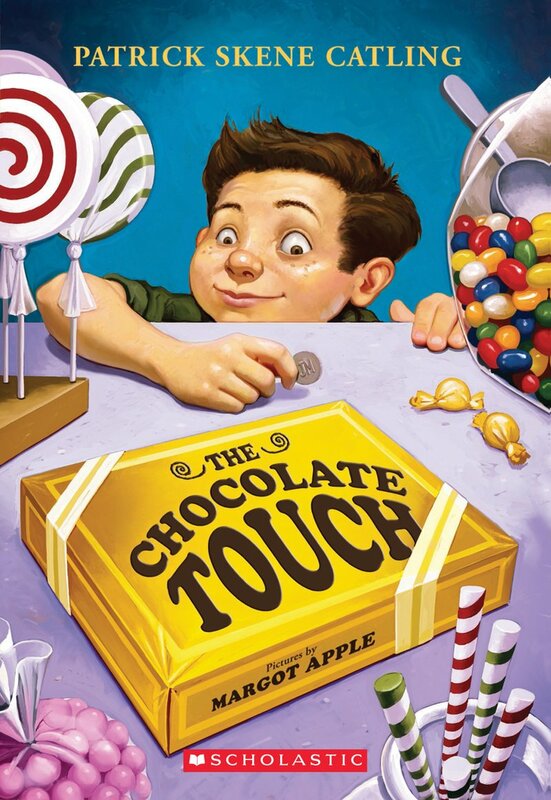 I remember this story being more lighthearted than anything, but the charming tale of a boy who transforms everything he touches into chocolate starts off as a jubilant retelling of the King Midas myth until it descends into bigger and scarier consequences. Eventually, his desire for sweets threatens everything that he loves, and you start to feel a bit of a pit in your stomach. 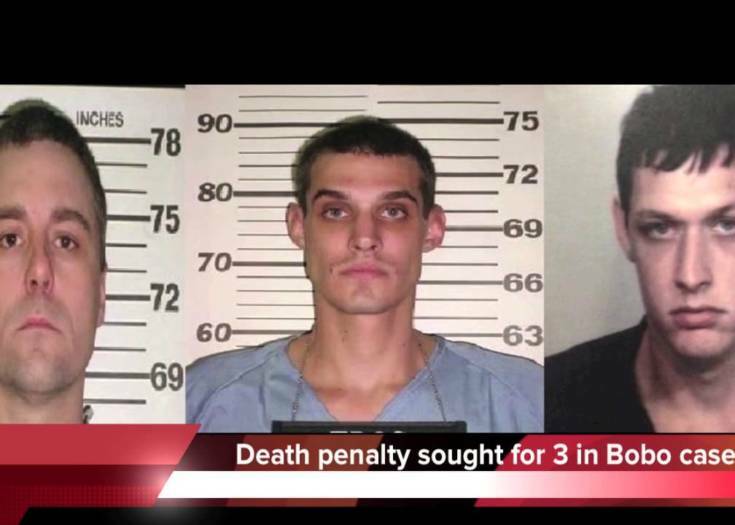 I’m actually working on a full article explaining this very trilogy in greater detail, so I’ll keep this short. 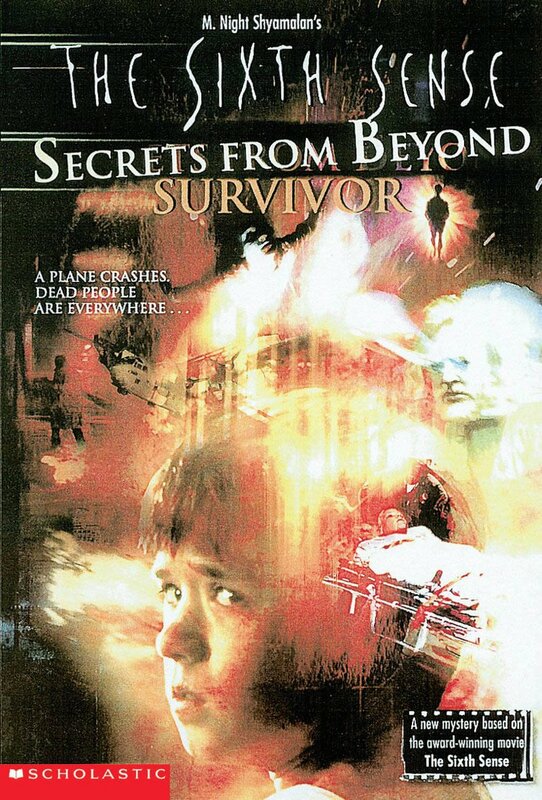 But yes, this is a series of chapter books in which Haley Joel Osment’s Cole Sear solves mysteries about ghosts. It covers common kids’ book themes like the challenges of making friends and living with a single parent, only interspersed with graphically detailed descriptions of charred flesh, plane crashes, and long-dead authors weeping over their unread books in the public library. It’s completely bonkers and grotesque, which is why this series is definitely worth digging up. Here’s where things get really meta. 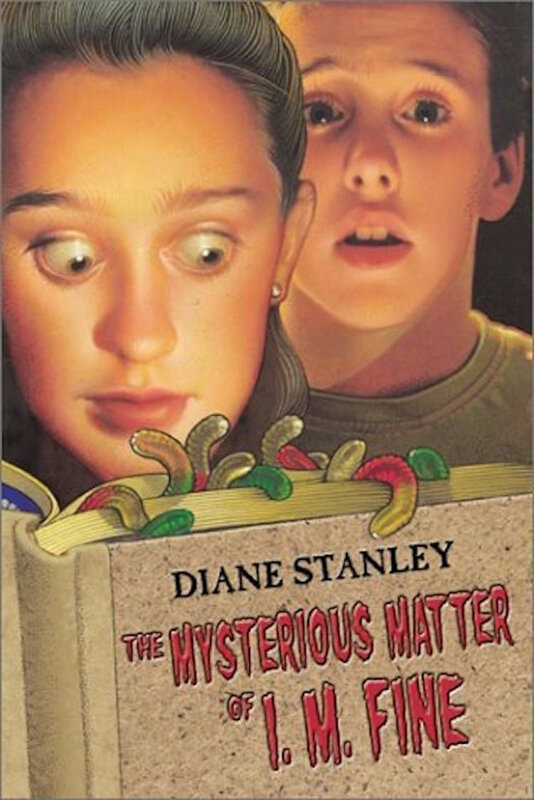 This is a kids’ horror book about kids’ horror books, obviously very closely based on R. L. Stine’s GOOSEBUMPS series. A young girl notices that a popular horror series is causing local children to react strangely. It starts with a sudden boom in the popularity of gummy worms, but as each new book arrives, the reactions become more and more sinister, even life-threatening. She teams up with a male classmate to track down the author and stop the vicious cycle. If you only check out one entry on this list, make sure it’s this one. I. M. FINE is a creepy-crawly romp that turns childhood fears of the material they’re reading into a reality. 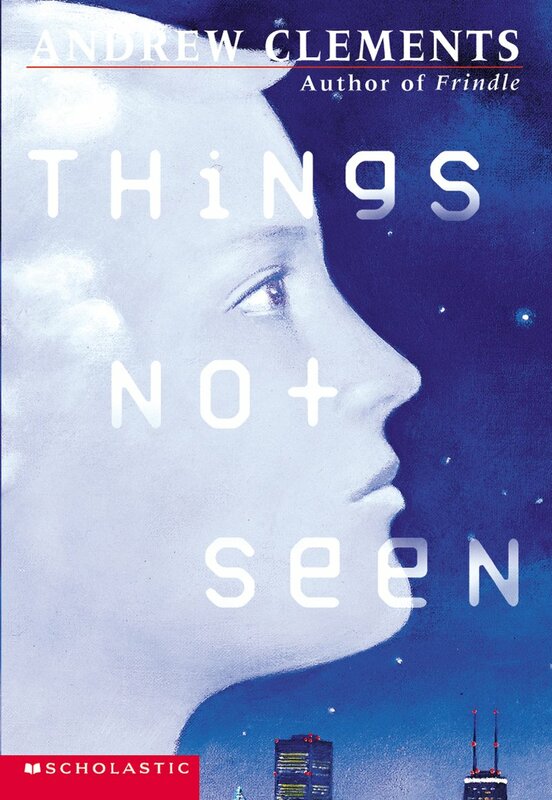 As close as kids’ novels have ever gotten to Kafka-esque body horror, THINGS NOT SEEN is the story of a young man who goes to sleep on a cold, stormy night and wakes up invisible. At first he enjoys playing tricks on his friends and family, but as the reality of his new life sets in, things take a dark, philosophical turn. If the Invisible Man had a son, he’d love this book. 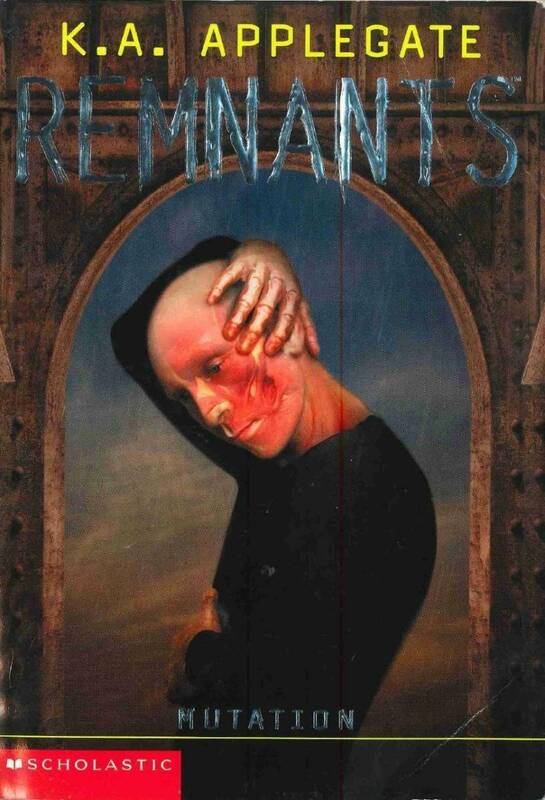 The follow-up series to Applegate’s immensely popular ANIMORPHS books, REMNANTS follows a group of people awakened from cryosleep on a colony starship only to discover that the ship has malfunctioned, killing the majority of the people onboard. It’s very much a sci-fi story, like a younger take on PASSENGERS, but I still remember its grim, grisly depictions of death. It’s definitely a twisted, detailed account of darkness and violence in the near future that left my young self shuddering. 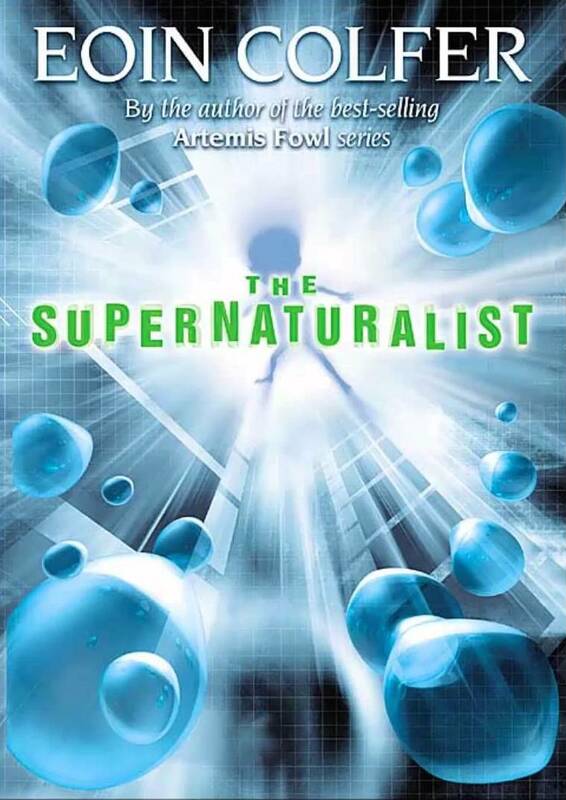 This dystopian novel is another sci-fi inflected piece, following the exploits of a team of teens in a futuristic society who do battle with supernatural, life force-draining entities that they can see only after suffering a near-death experience. It’s a rollicking action tale first and foremost, but it’s chock full of deeply unsettling imagery and a heaping helping of pain and misery. OK, the six-part GONE series is for sure a teen series, as it deals with more complex issues including eating disorders and sexuality, but a great many of its protagonists are kids. 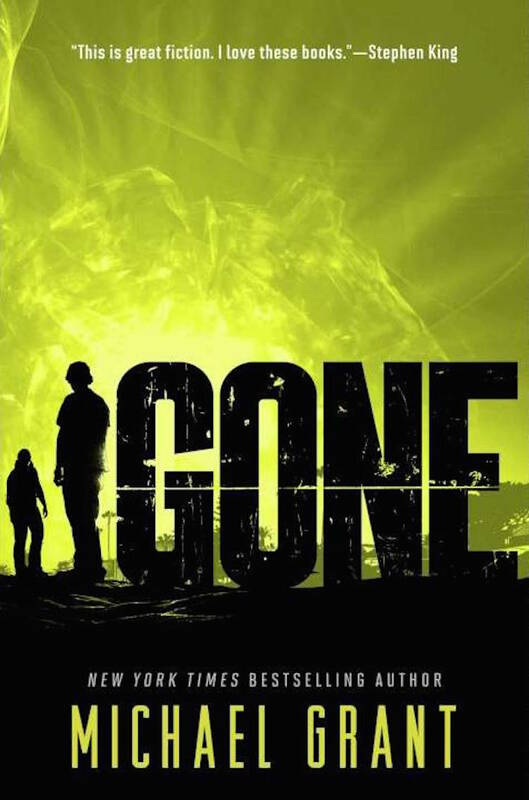 In GONE, the seaside town of Perdido Beach is trapped within a dome-shaped force field (this was a year before UNDER THE DOME, mind you) and everyone over the age of 15 has vanished. The kids must try to rebuild society while supernatural forces threaten their lives. Described as “LORD OF THE FLIES meets Stephen King,” GONE challenges teen stereotypes with a no-holds-barred tale of murder, lies, and mutant superpowers. It might sound a little silly, but it’s a heart-pounding, violent, mysterious story that will grip you from page 1.